Portlethen and District Men’s shed are taking over the former toilet block which is next to the Lethan Arms. At the Kincardine and Mearns Area Committee meeting on Tuesday, with rent being set by councillors, the group have been granted the block through a community assest transfer. 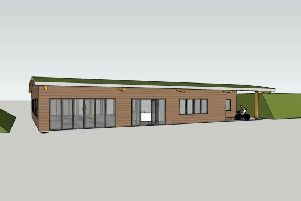 A report to councillors stated: “The Portlethen and District Men’s Shed have developed a business plan based around the use of the former public toilet block in Portlethen. ‘‘This is is in the same building as Portycabin, a very active youth facility run by the Community Learning and Development team in Portlethen. Cllr Alison Evison said: “The community benefit of this is a great thing. The Men’s Shed movement began in Australia. It aimed to provide a social and workshop environment for men of all ages who were retired, found themselves out of work or with extra time on their hands they wanted to fill. The movement spread quickly to Aberdeenshire with the support of the UK’s only full-time Men’s Shed Development Worker. The first Scottish Men’s Shed opened its doors in Westhill in February 2013. Since then, Men’s Sheds in Ellon, Inverurie and Portlethen have been established and all are now registered charities.